Styled with tilde dress . It's just science. 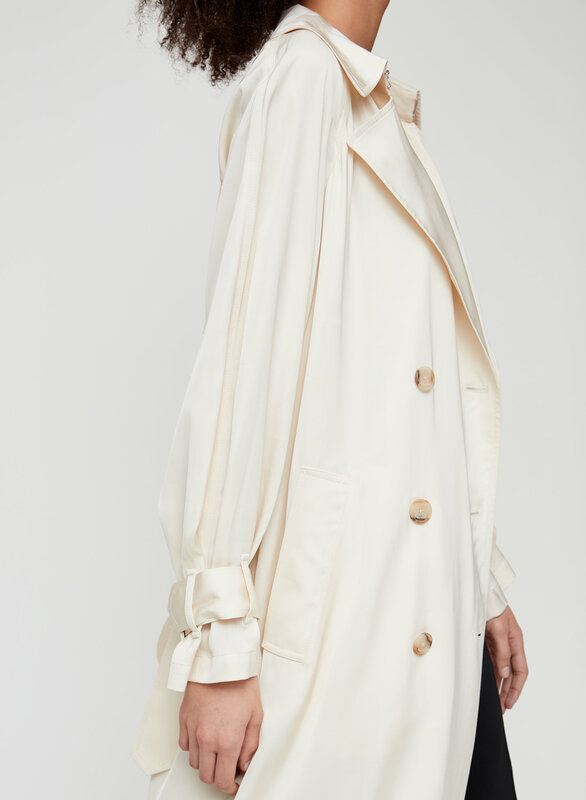 This is a drapey, relaxed-fit trench coat with lots of movement. 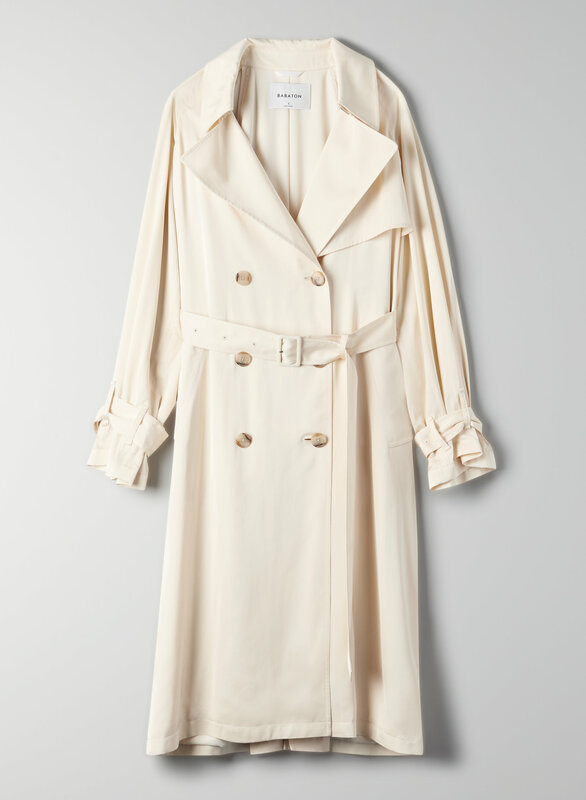 It's cut from a smooth, fluid fabric with a slight sheen.